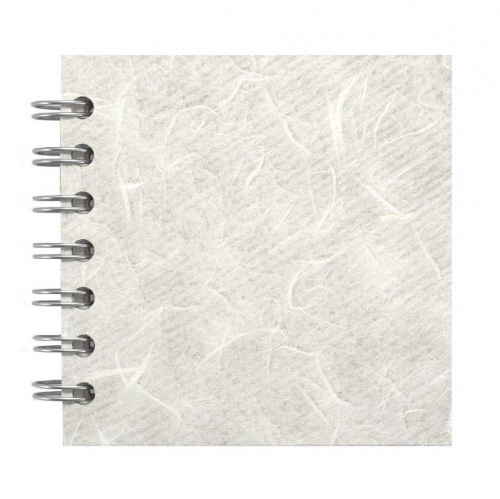 Pink Pig Posh Recycled 4x4 Classic 150gsm Black Cartridge Paper Sketchbook - White | That's Crafty! 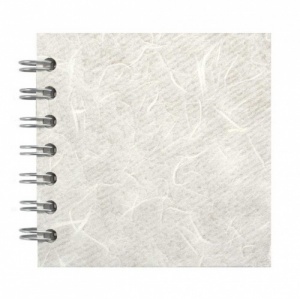 Pink Pig Posh Recycled 4x4 Classic 150gsm Black Cartridge Paper Sketchbook - White. This Pink Pig Sketch Book is spiral bound. The spiral binding allows the pages to lie flat so artists and students can work across two full pages for that really big idea. It also makes page turning quick and easy and the books more space efficient as they can fold over on themselves. Spiral binding is also more durable than glued bindings which after a period of time can deteriorate causing the pages to fall out. The Pink Pig Sketch Book contains 35 leaves of 150gsm, acid free black paper and has a practical hard back cover which acts as a support when sketching as well as providing robust protection for the artists work . 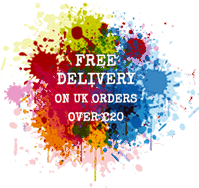 Pink Pig Sketch Books are made in Yorkshire in the UK.